Design Services - Sencia Canada Ltd.
Beautiful design that creates impact & emotion. Your project is unique, as is our approach. Having a design that stands out can make all the difference for your company. Our creative process has proven to lead to the creation of designs that make greater impact and seamlessly deliver your message across. We carefully craft websites with a high level of attention to brand requirements, consistency, user accessibility, conversion and experience. With Sencia, you can expect a design that wholly embraces and celebrates your company's vision and values. 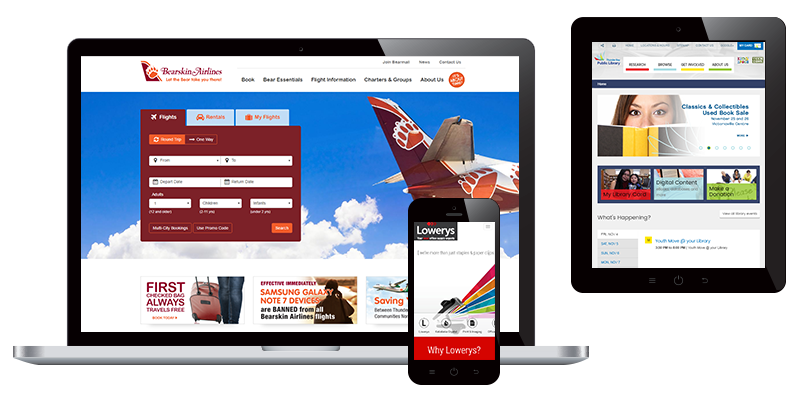 We're proud to have designed many websites for local businesses in Thunder Bay and throughout Canada and the USA. Unique and tailored to you - we don't do "out-of-the-box!" Effective graphic design is key to marketing your organization's message. Our creative design team offers graphic design services tailored to achieve your creative and marketing objectives, ensuring your message comes out clearly. 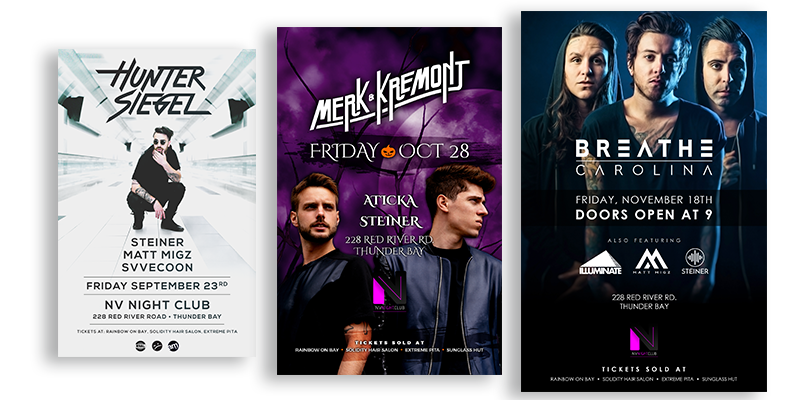 We've created posters, banners and other promotional graphics for Thunder Bay, Canada and USA-based clients. Does your logo reflect your values? Branding is a big deal. It impacts how your clients percieve you, it usually reflects values and ideas. Creating your brand is a vital step in forming new businesses, which is why you should trust a professional like Sencia who will make sure every detail of the branding process goes unmissed. We've helped create an image for many Thunder Bay businesses including; The Institute of Italian Studies Lakehead University, NV Nightclub and Ontario Indigenous Women's Water Commission. Custom illustration can be extremly versatile and give you a unique tailored look that can help develop your brand. From creating visual interest or helping customers visualize your ideas, illustration has many uses in design. 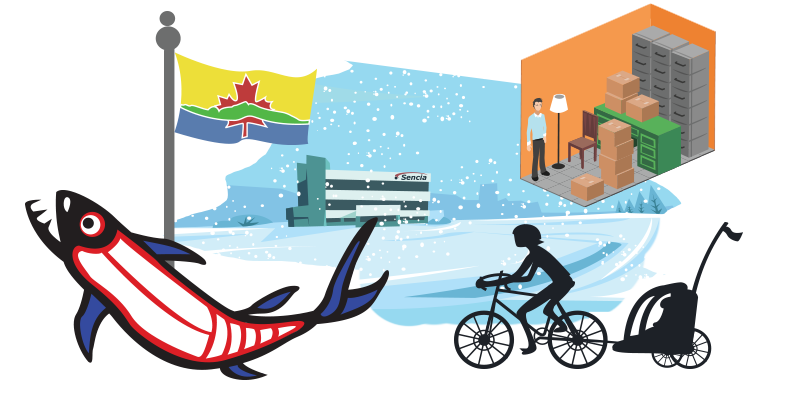 We've worked on illustrations for Thunder Bay businesses like Nor-Shore Self Storage, Safe Cycling Thunder Bay and The Ontario Native Women's Association. We've also helped create illustrated visuals for companies across Canada and the USA. Let's work together on your next design project!